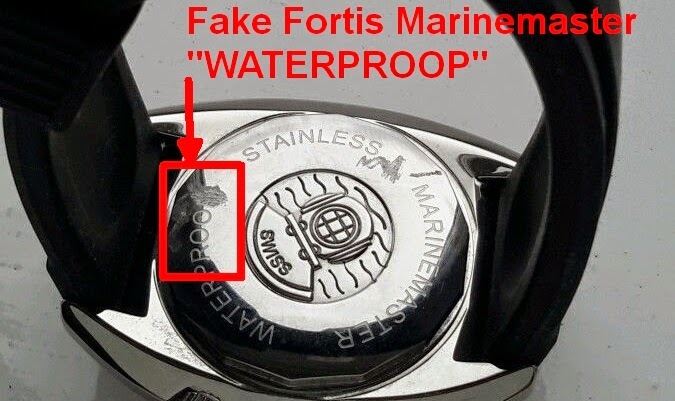 Fortis Marinemaster - Watch out for fakes! 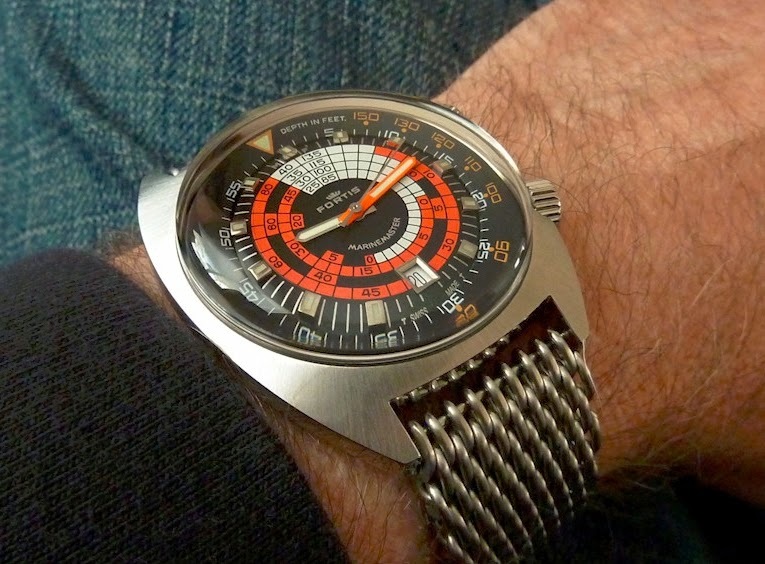 Watches from the 60s and 70s - 42 mm and larger - preferably affordable. Super compressors are cool. No doubt about it. 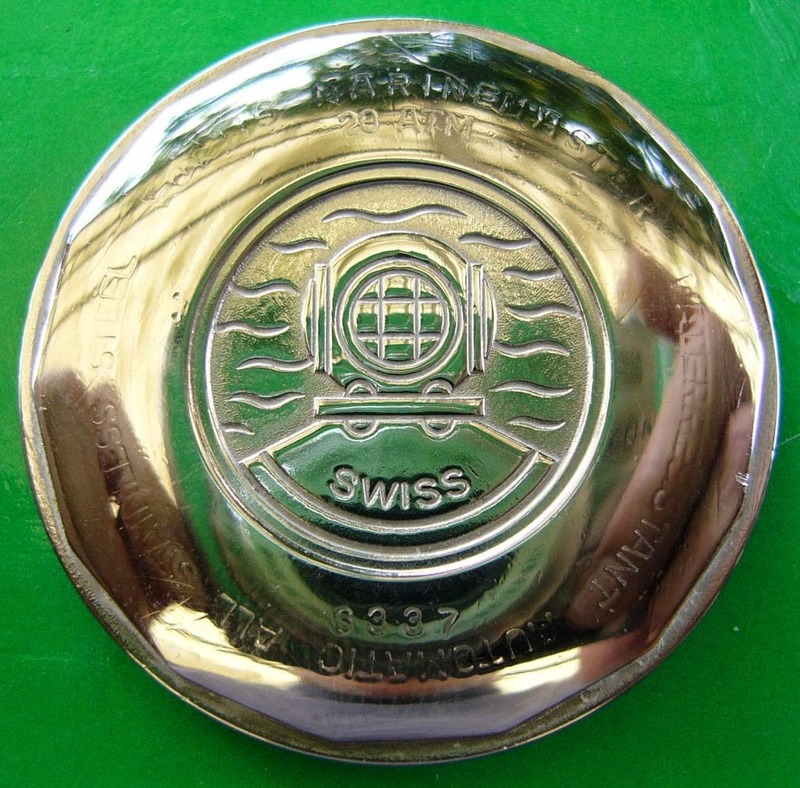 Different shapes of cases were made and the largest at 42 mm wide are very wearable. The price is usually reasonable at 300-350 euro for a vintage super compressor. And the Fortis Marinemaster's has all the characteristics of a super compressor: criss-cross pattern on crowns, the helmet-logo on the back of the case and the helmet logo and production date on the inside of the back case. Almost all Fortis Marinemaster's for sale are in mint condition. But it is almost to good to be true. A little googling and soon I realised that 19 out of 20 for sale are modern replicas (or fakes, as some would call them). A some point in time a large batch has been produced and they are now gradually released to the market. Read this blog with an excellent discussion. In 2002 actually Fortis themselves produced a 90-years limited edition of the Fortis Marinemaster Steel Date, but only 90 pieces were made. They should be easily recognizable by the limitation number (e.g. 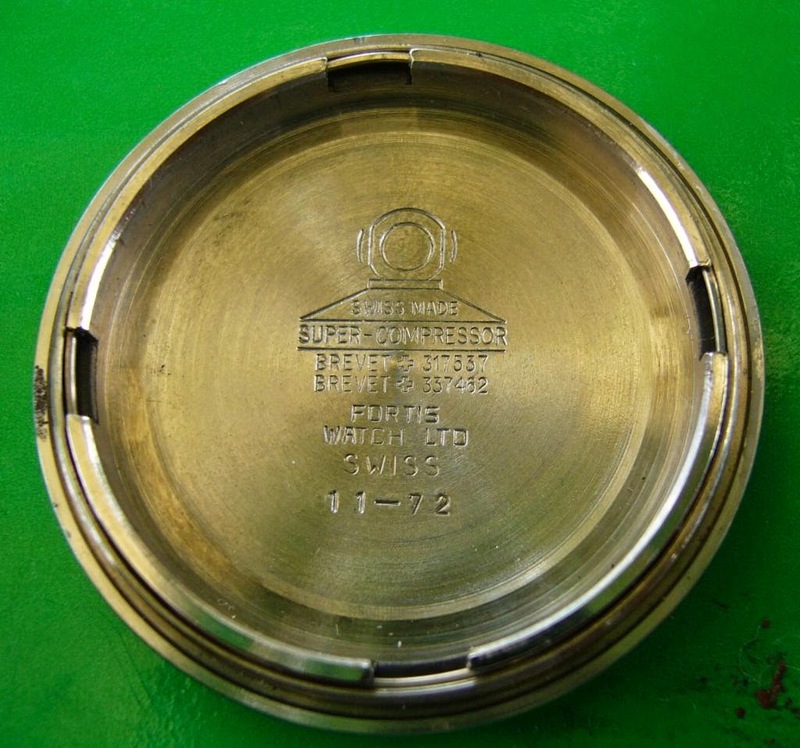 "12/90" engraved on the case back. Source. To sum up. 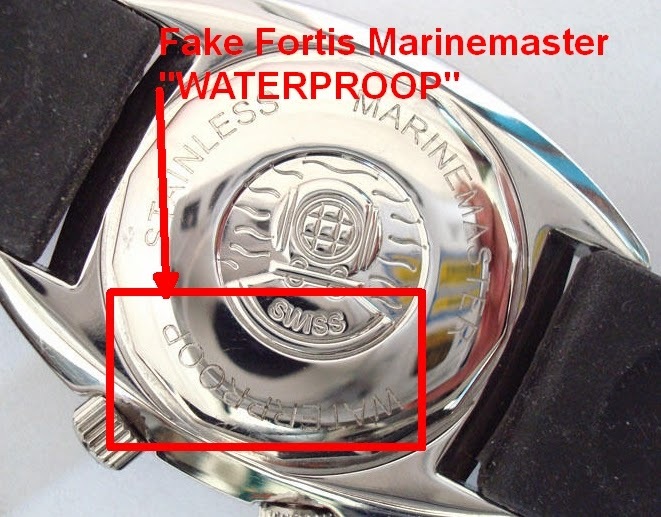 The genuine Fortis Marinemaster's are very rare and often sold for 1.000+ euros (and thus not relevant for this blog). 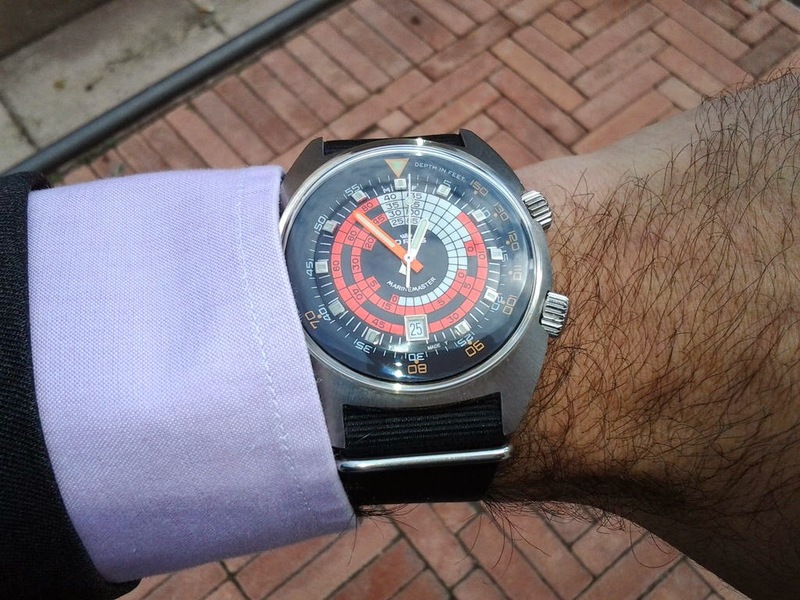 The Fortis Marinemaster replicas are available, reasonably affordable, in excellent condition and cool looking - but certainly not from the 70s. If only the sellers would call them "replicas" or "heritage". 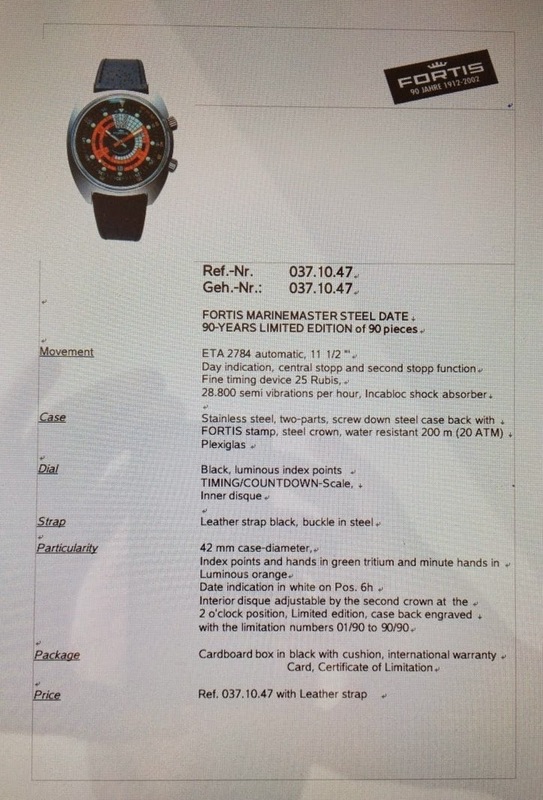 Hi, very nice post about the marinemaster, but you left me with an uncertainty in you last sentence. I personally owned the waterproop version. 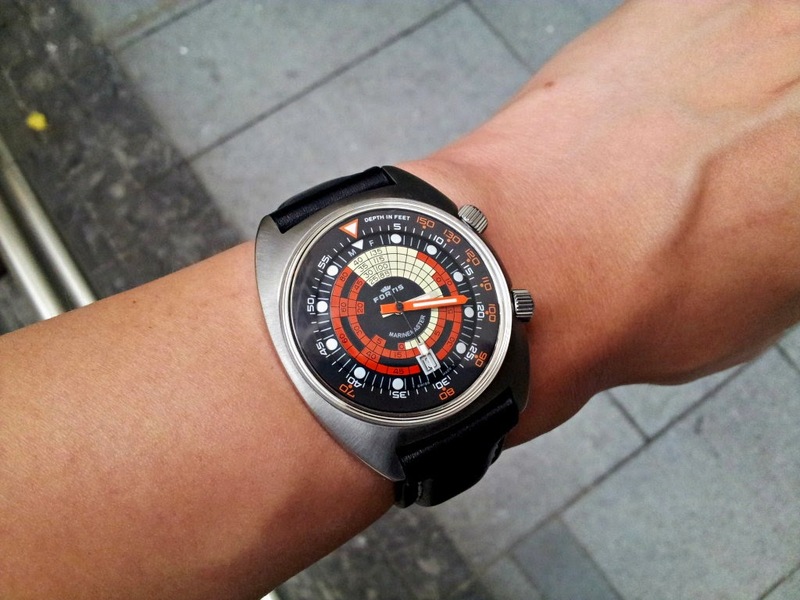 I colltect watches for a long time and after this article I am not sure if this was a replica, a heritage watch, a reedition or just a fake. I personally can not imagine and I saw a lot of fakes, that this was one. Why making a fake wath with an writen mistake made on purpose? Is it not possible, that it was just done to avoid people to go swim with this watch as it was not waterproof at all? 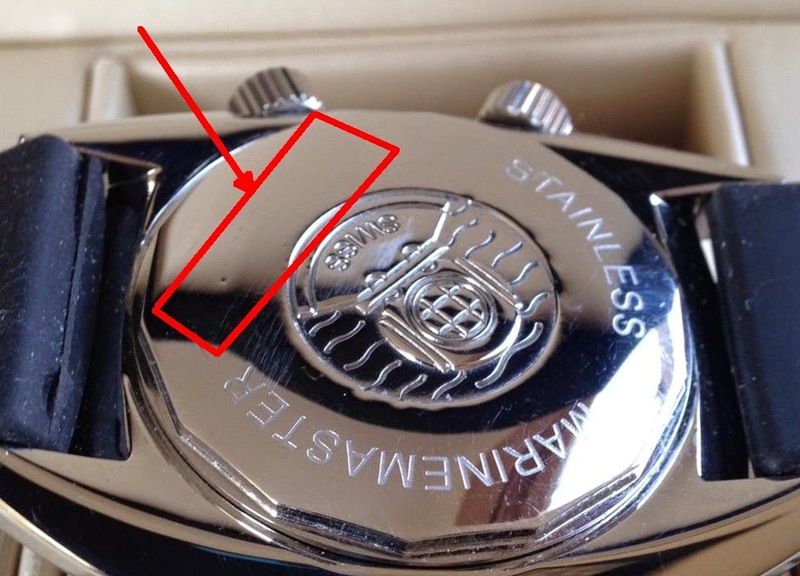 And why doing such an effort to create a fake watch with such a detailed precision - ETA movement, rotating bezel, all the engraving and then this "stupid " waterproop mistake. 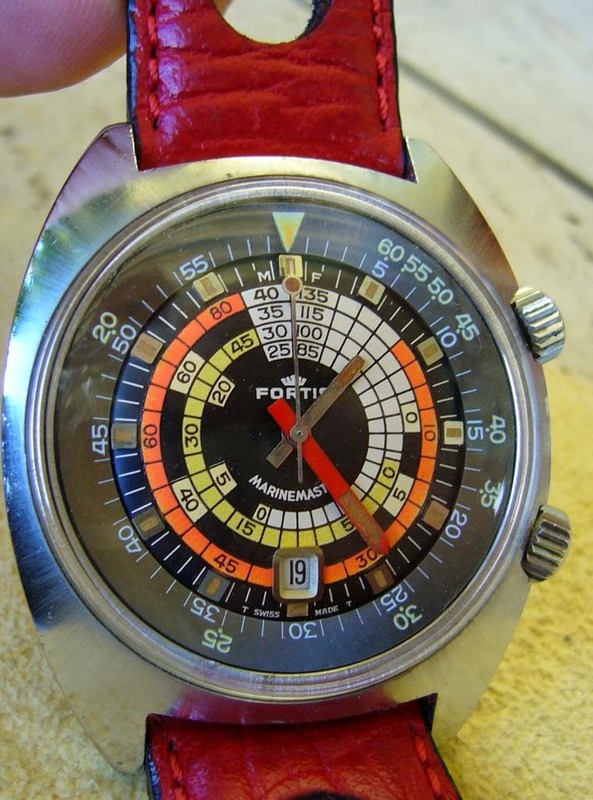 are you sure, Fortis has not produced this as a heritage line? Would like to know your opinion on that. Thanks for the reply. I just have to cope with the fact of having been pranked with this watch. 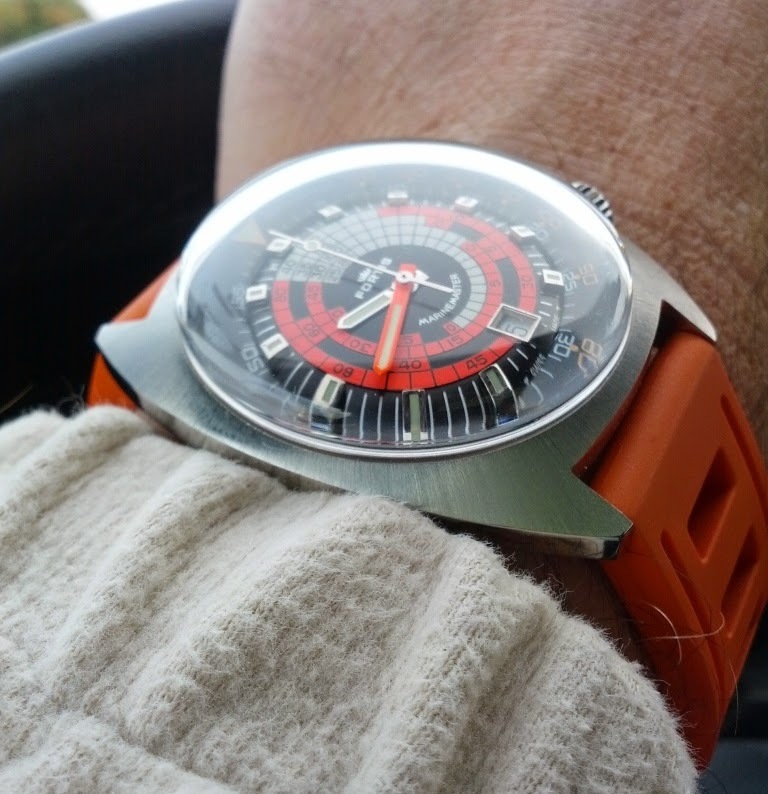 Frankly, when I was buying this watch some years ago, I thought that it was just an edition for the scandinavian market. But it is a funny mistake indeed. 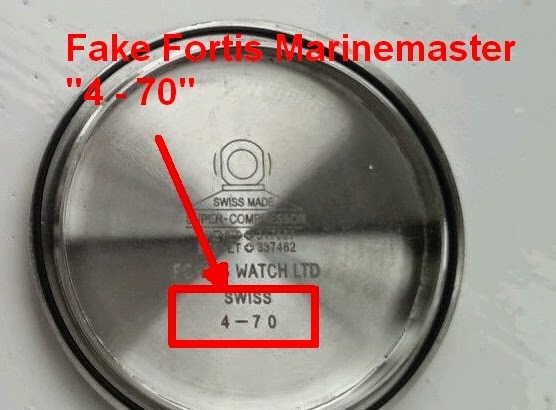 Thank You for that great information about Fortis Marinemaster and saving my money! I want more comments! If you enjoyed reading this article please leave a comment. You can comment anonymously and without logging in.